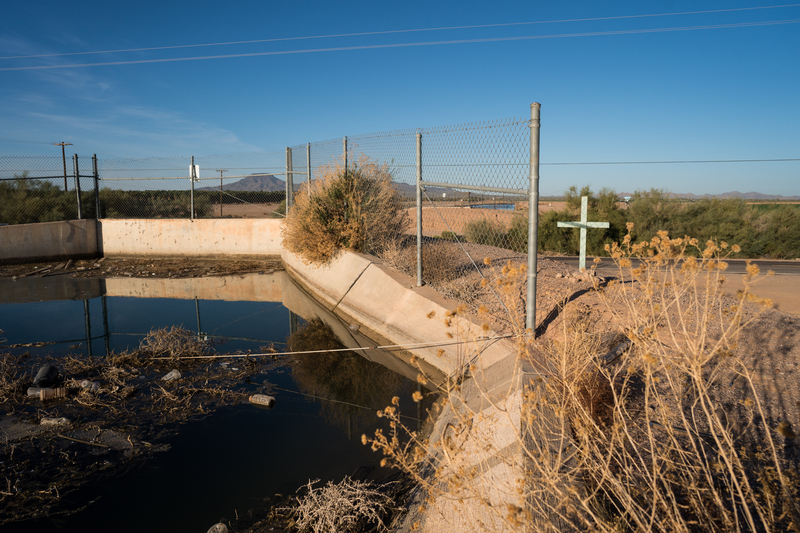 Outside of the Rio Grande Valley in Texas, no area along the U.S.-Mexico border is as active for migrant crossings as Southern Arizona, east of Yuma. 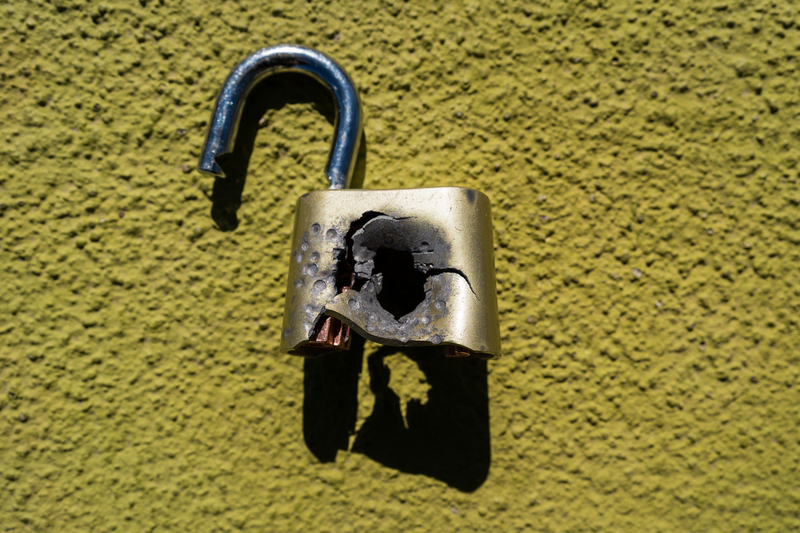 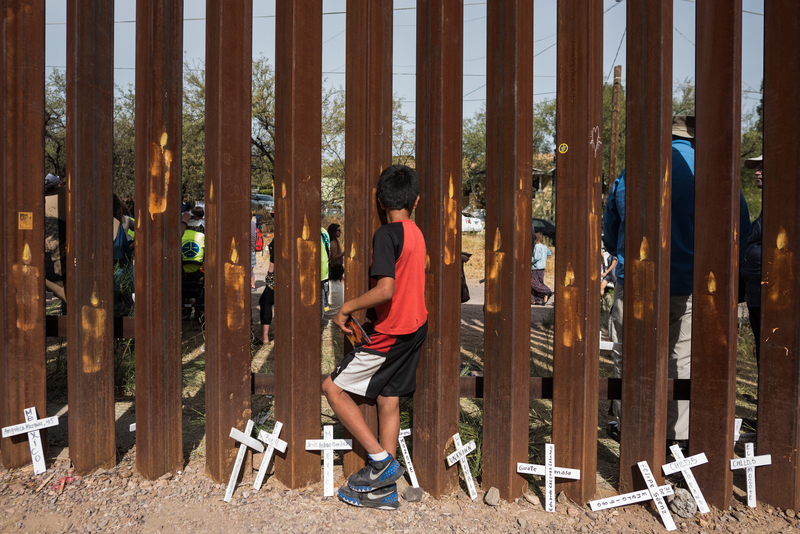 While the number of migrants heading north has noticeably fluctuated in the past two years based on U.S. Border Patrol arrest data, the number of deaths in Arizona has not. 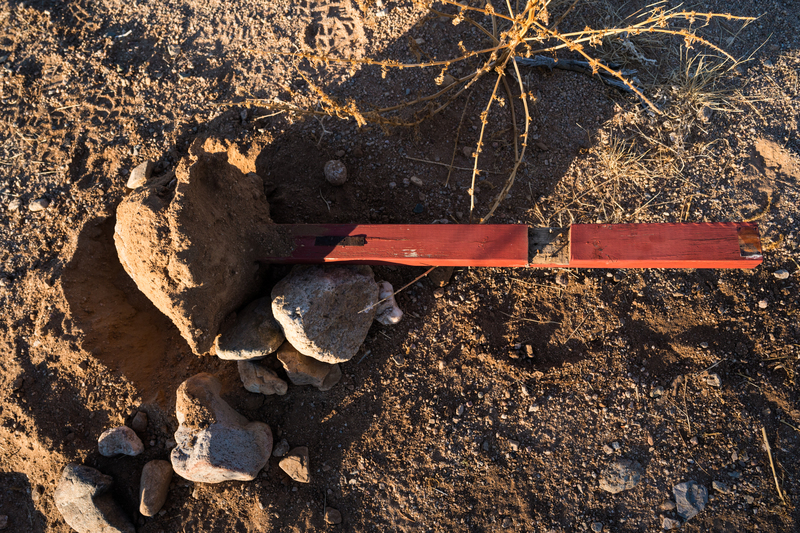 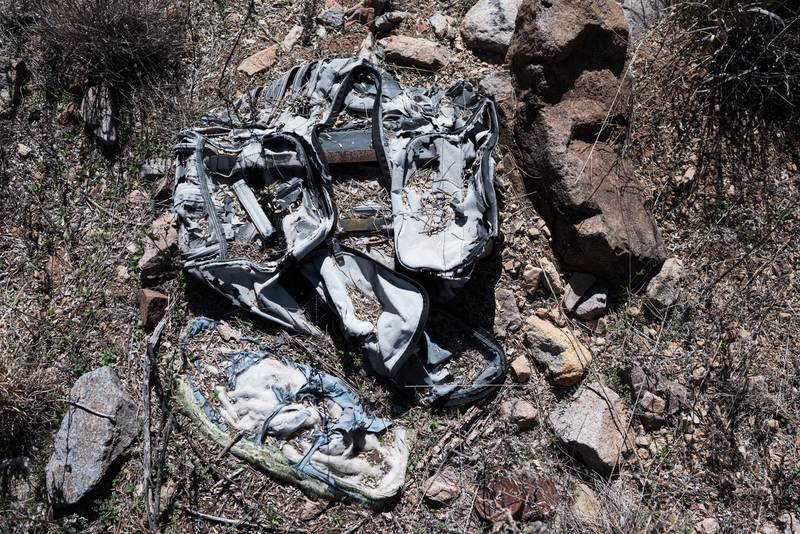 At least 128 individuals died while crossing the Arizona desert last year according to data from the Arizona OpenGIS Initiative for Deceased Migrants. 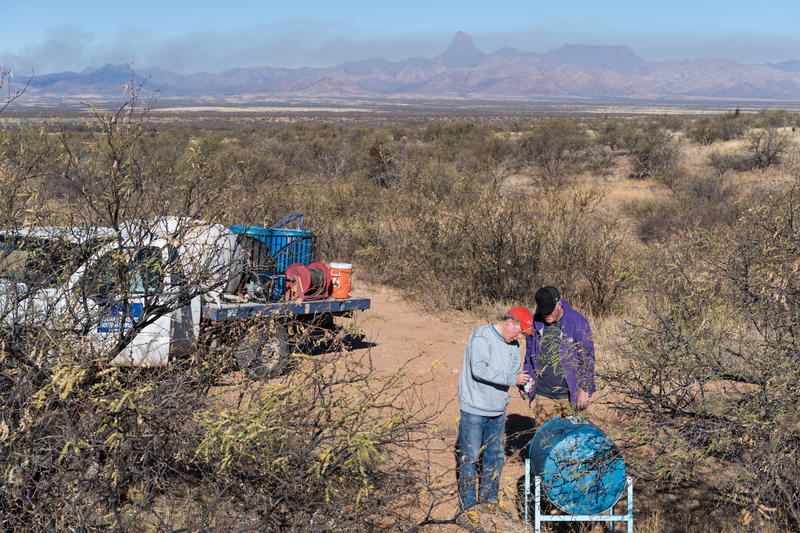 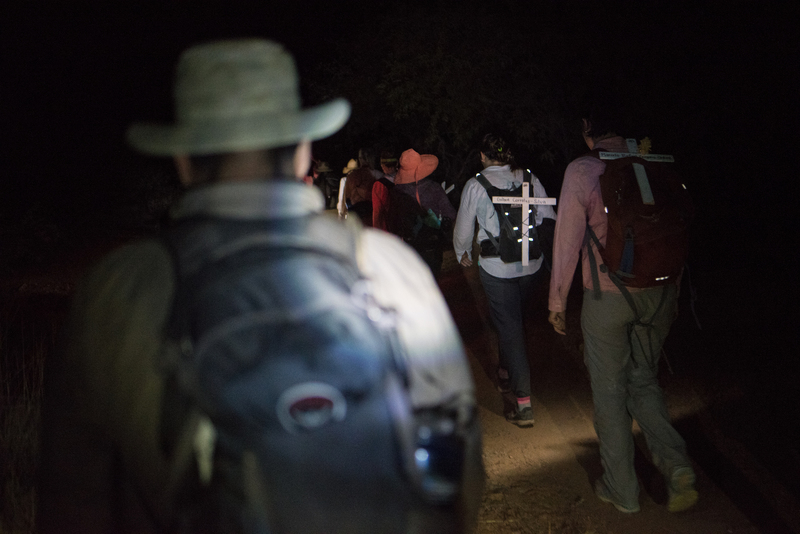 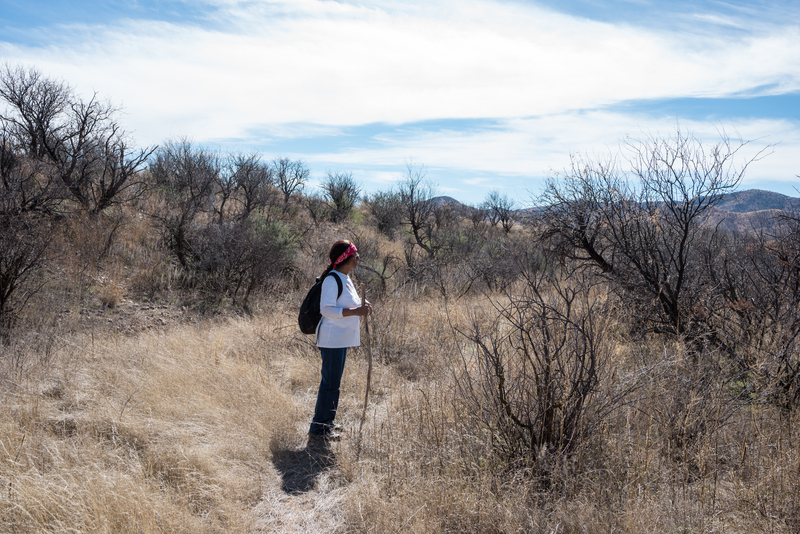 With a greater Border Patrol presence in border towns like Nogales, AZ —which were formally highly active crossing areas— migration trails are often being pushed further west into the more remote Sonoran Desert around the Tohono O’odham Nation Reservation. 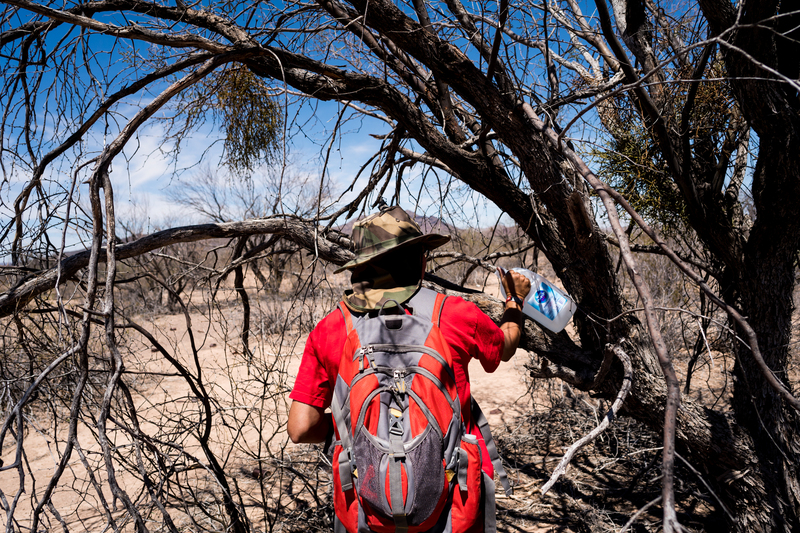 Here, in the low populated lands southwest of Tucson, water is scarce and trails filled with thorny trees are especially rugged. 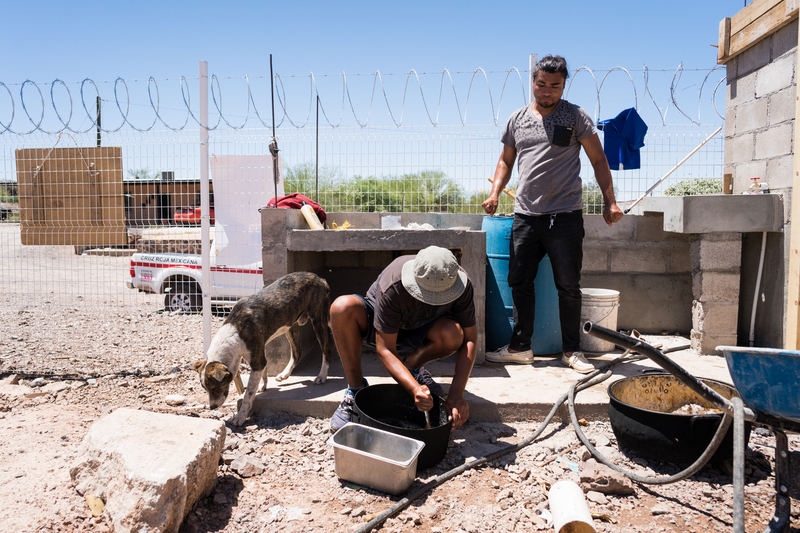 Leaving water, food, and blankets in strategic areas, groups like Humane Borders and the Samaritans see their work as crucial in saving migrant lives when so many are still dying from dehydration. 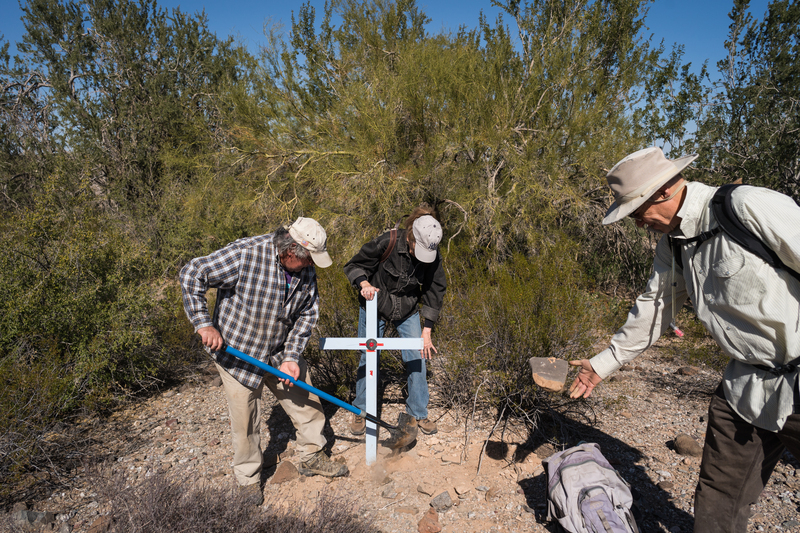 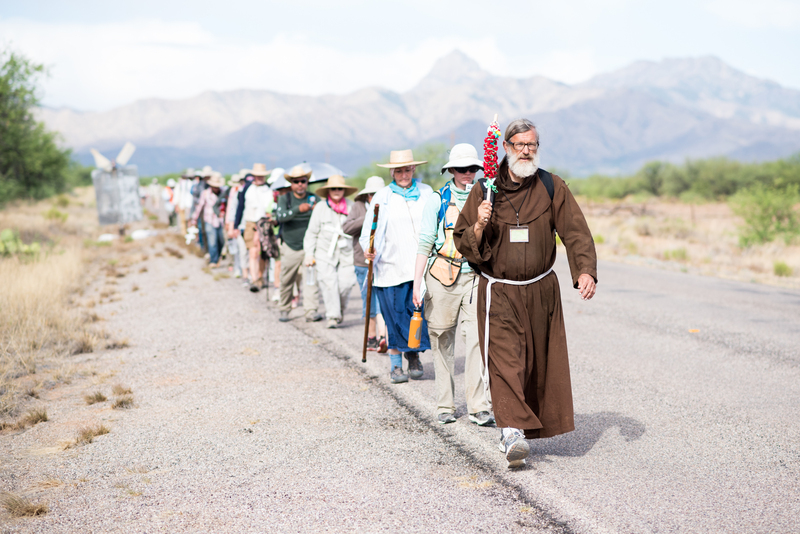 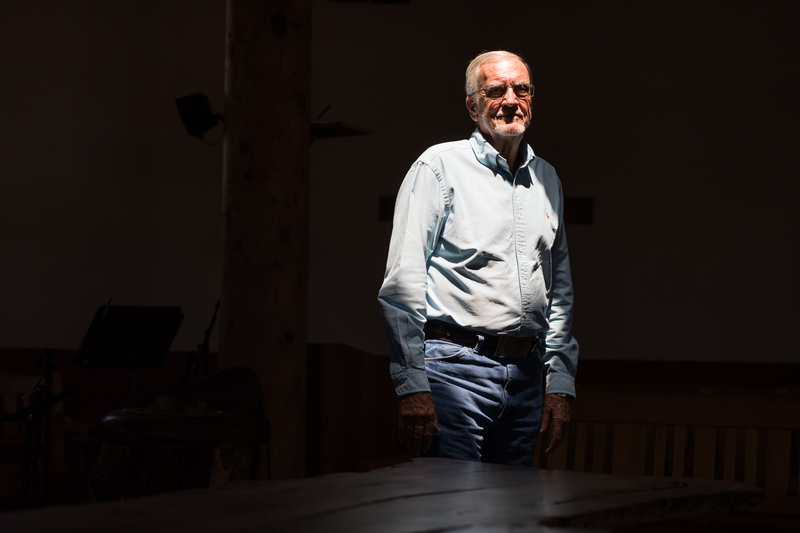 Enciso, who makes weekly trips into the desert, is part of a sizable community of activists and humanitarian aid volunteers working collaboratively to help save lives and remember those who died on their journey. 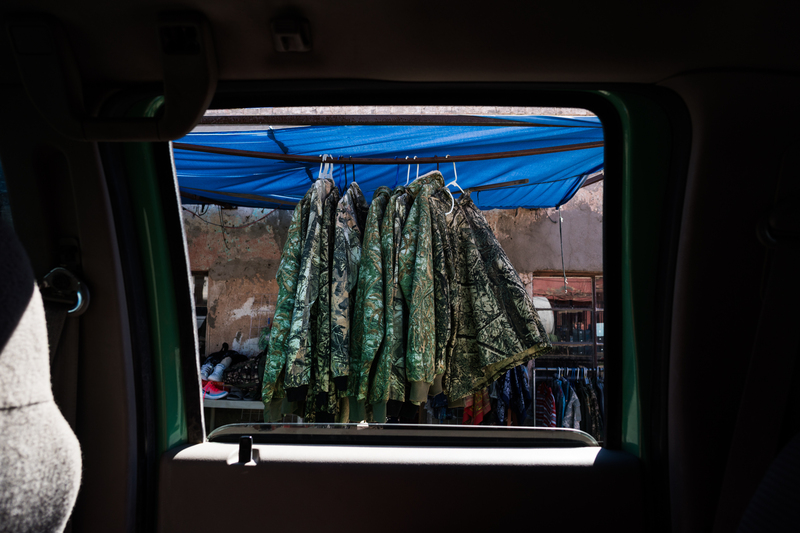 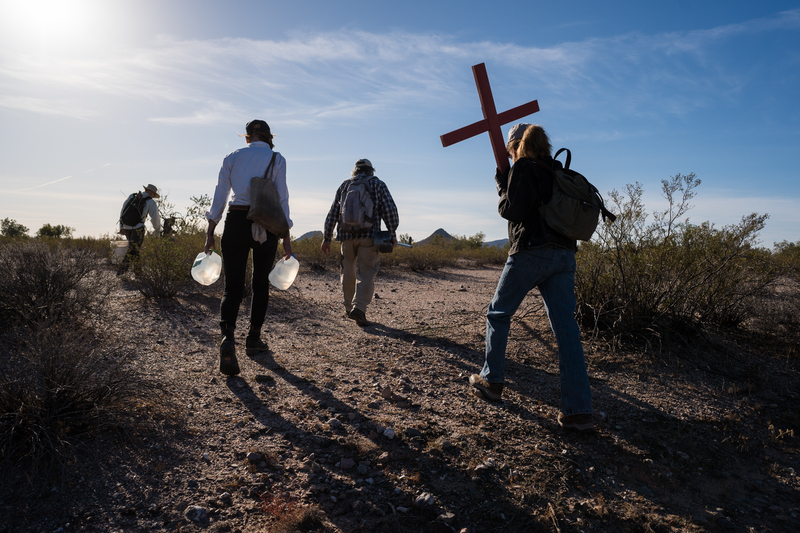 While this community began growing as migrant deaths increased in the early 2000s in the post-NAFTA (North American Free Trade Agreement) era, Arizona activists say the interest in humanitarian aid work has really jumped since Donald Trump became president. 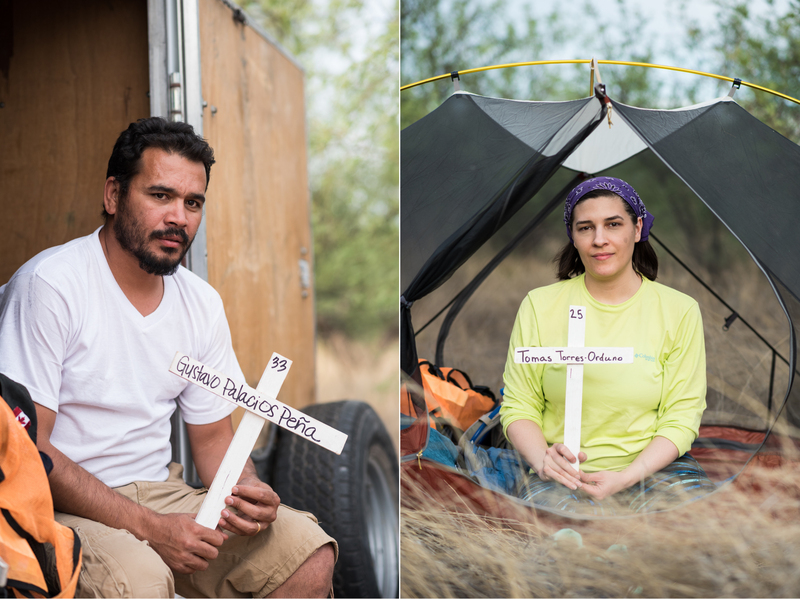 Since then, there has been a push to hire more Border Patrol agents and build a bigger border wall but activists have also seen more resistance to aid work. 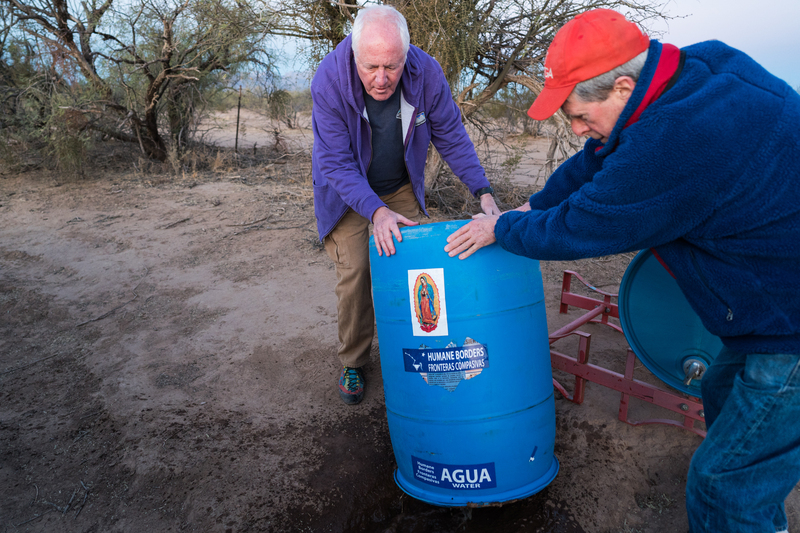 Humane Borders has seen their water dispensers shot at while others have seen water gallons slashed open; several volunteers with No More Deaths were charged with misdemeanors for leaving water near Ajo and their volunteer Scott Warren was charged with a felony for harboring migrants in January. 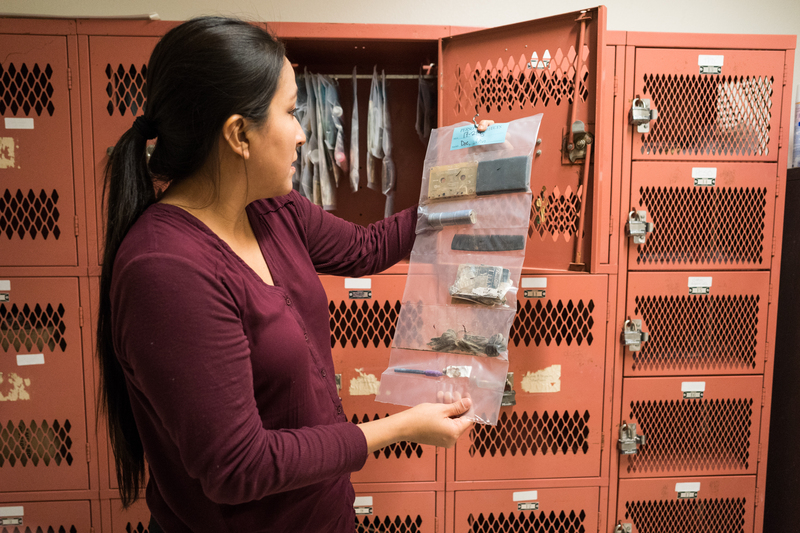 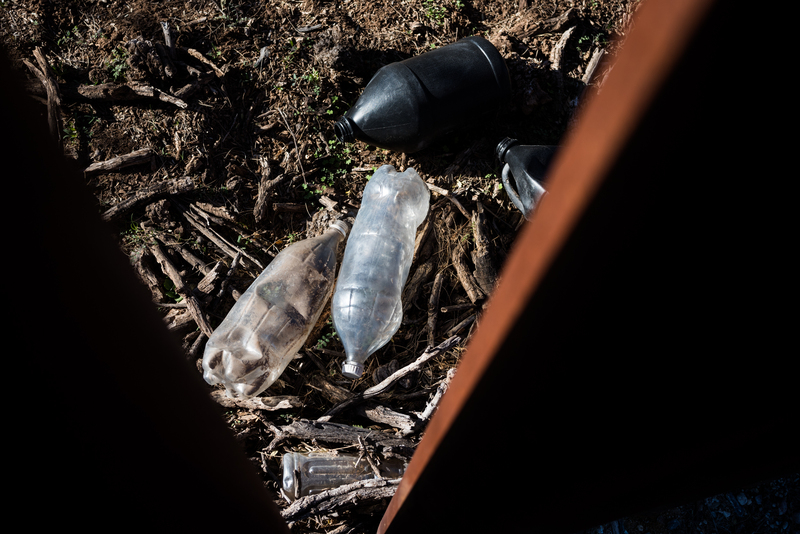 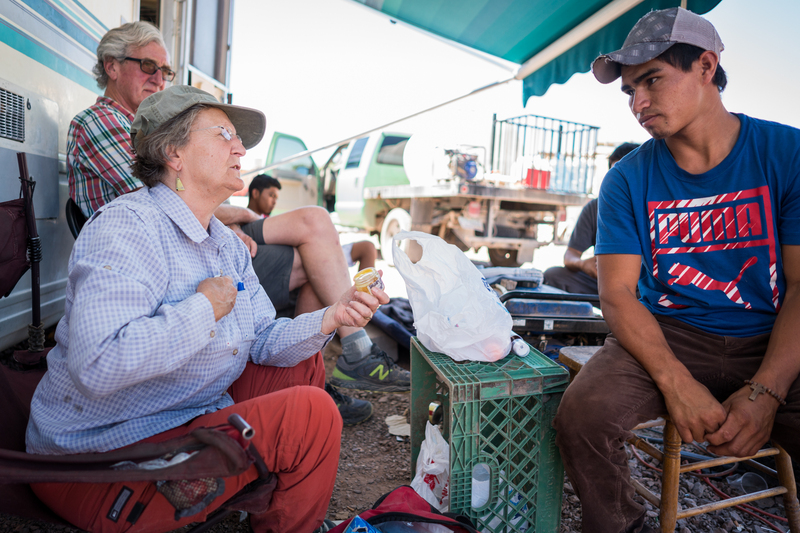 The following photos, taken from early 2017 to May 2018, provide a look at the work volunteers are doing daily in Southern Arizona to prevent further migrant deaths in the desert.